Thanks, I realise the typo now, that is should have been WW2, however im wondering how that combination came to be. Would this be awarded to british officer? or an american serving with the british? Is it possible to see an image of the back of this ribbon bar? 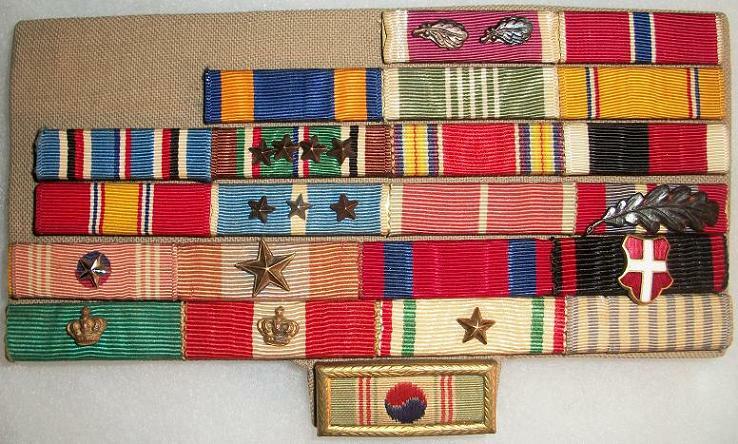 I have the feeling that this might be a "made-up" ribbon bar. 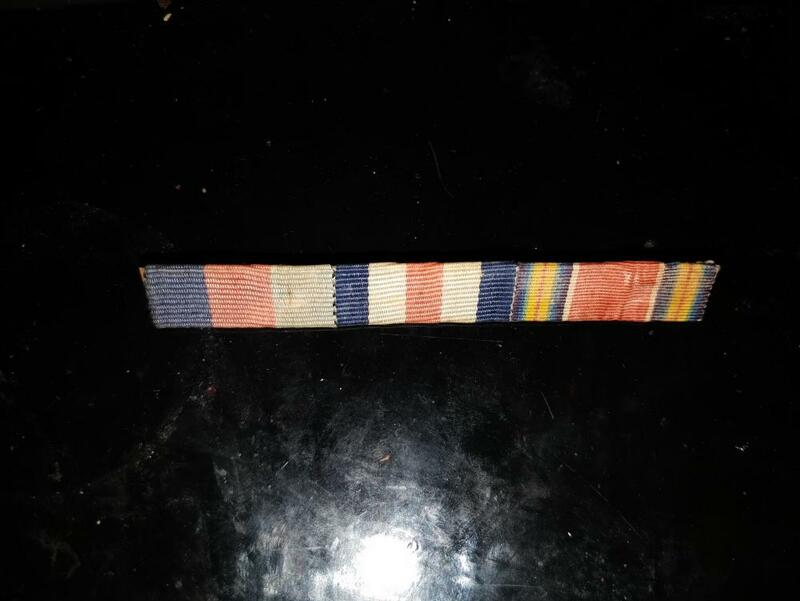 Thanks for the hi-res image of the back of this unusual ribbon bar. At first glance, the stitching looks good, but on further observation, it doesn't look like the stitching is 75 years old. 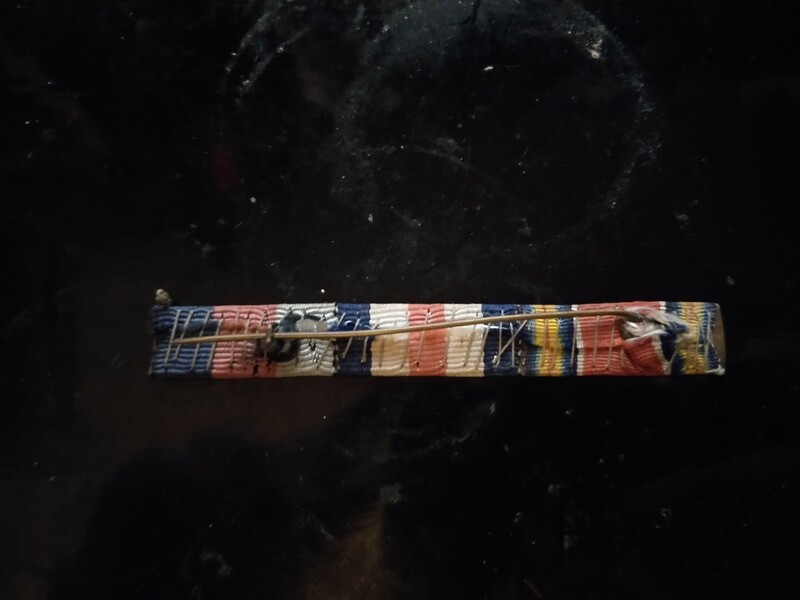 Stitching looks more recent, so still leaning towards someone adding the US WW2 Victory Medal ribbon to fill an empty spot/missing ribbon on this ribbon bar. I have a new Ribbon Bar, which I know isnt entirely american, but does seem to have an american ribbon on it. Seeing that its both British and American, i am wondering how this can be, especially WW1? Does anyone have any insight on this please? Hmm, at first I thought this was a Silver Star recipient, then I remembered that the France & Germany Star has identical ribbon to the US Silver Star. I would imagine the recipient was strictly in a non-combat role. I dont think its made up. Why would one bother? Instead I suggest its possibly AFS and very early 1946- 1947, which would fit the construction. Unfortunately none of these are attributed to any one person. 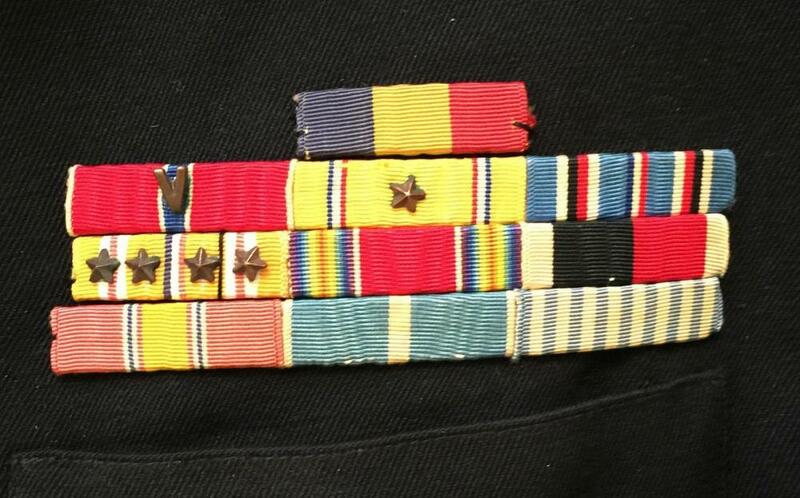 I was just checking out older posts, and was wondering if you where able to identify this ribbon group? This nice one just arrived. 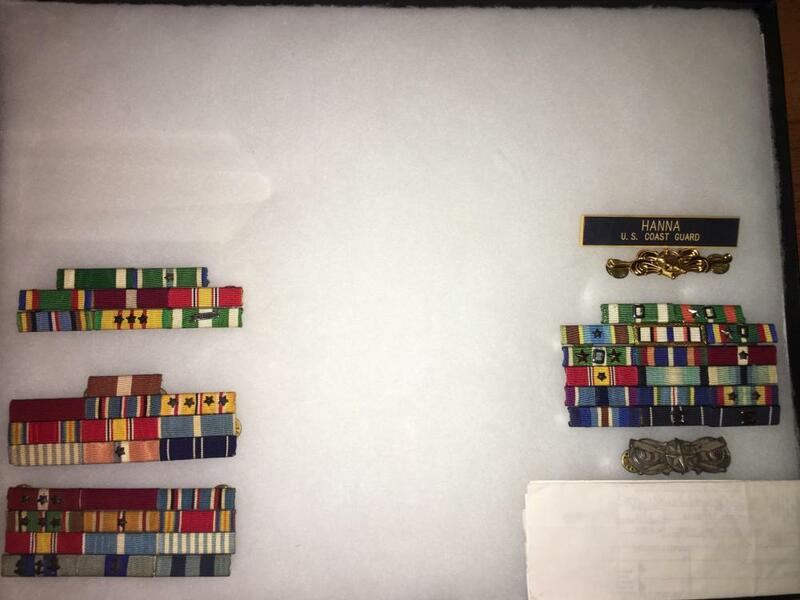 Paul, it's interesting that the bar in Post #185 has the USN/USMC Combat Distinguishing Device "V" device for the Legion of Merit, but not the Bronze Star. Quite appropriate, just interesting. China Service and Philippines Liberation to go along with WW2 and Korea service. Probably some good stories go along with this bar. In the second posting ... Post #186 ... What are the grey/blue ribbons on the bottom row of the bar on the bottom left? Thank you for the reply. 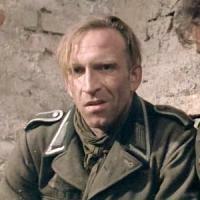 I think that there may be a device missing from the Bronze Star. 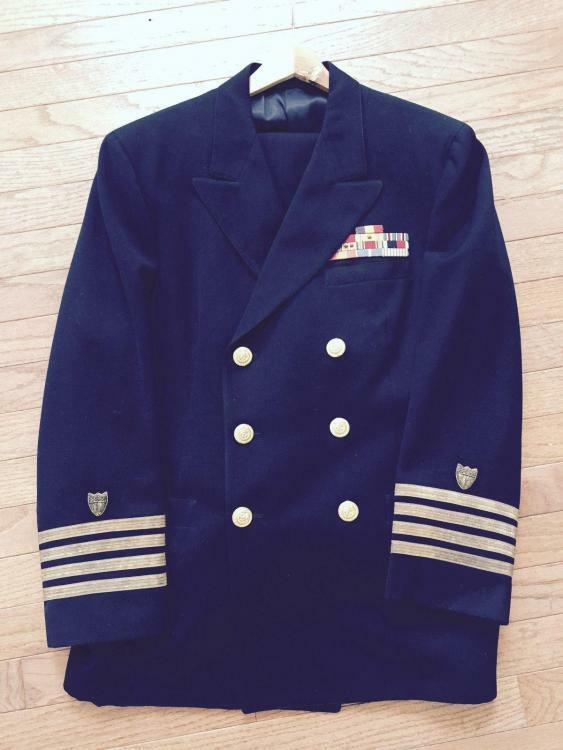 I've seen ship captains receive the LOM/V for playing pivotal roles. I'd love to hear the real story on the bar. Those strange gray/blue ribbons are for the Coast Guard Auxillary. This man joined the Aux after his time in service. Here is another great bar to CG Captain. I was lucky enough to find the citations for the two top medals. Oh dear God. 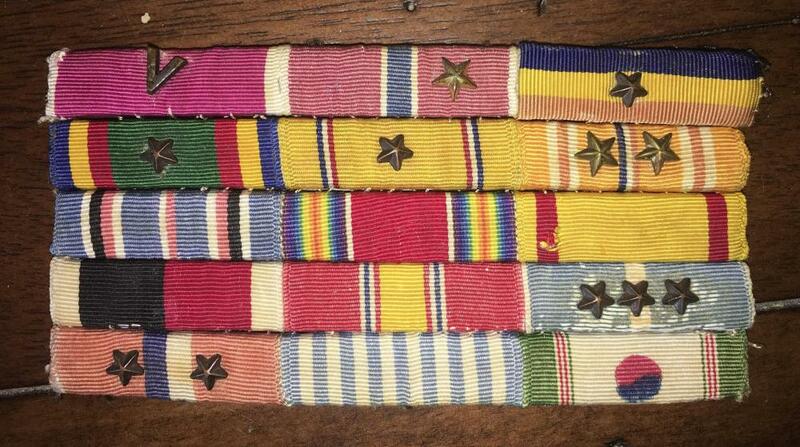 That is a magnificent ribbon bar. Embroidered ribbon bars are my favorite. I am extremely disappointed that we no longer utilize this practice.